The goal for our East Coast road trip was to drive roundtrip from West Chester (PA) to Ft. Lauderdale (FL). 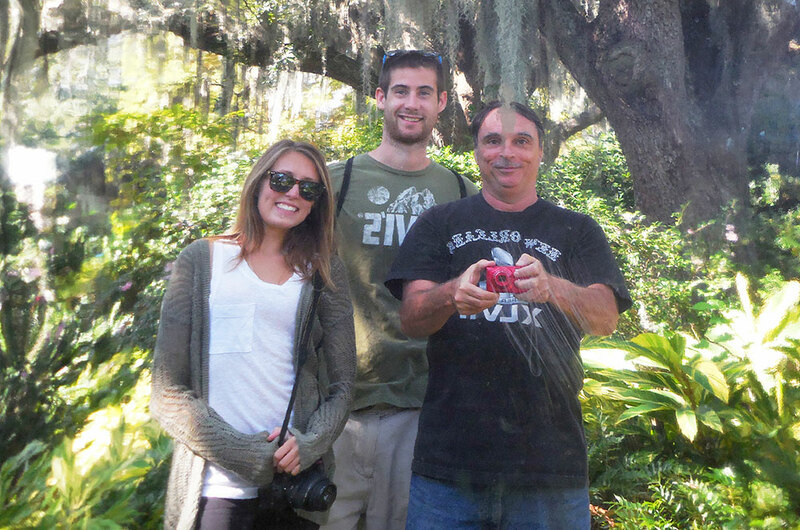 With several stops along the coast, we figured we would spend as much time in Florida as possible. However, after spending a week in Ft. Lauderdale with my Pop-Pop, Leslie and I took a four-night trip to New Orleans, Louisiana. Since the drive from Ft. Lauderdale to New Orleans is 12 hours each way, we chose to leave the car behind and fly instead. While doing some research I noticed Spirit Airlines had the cheapest flights. If you haven’t heard of them before, Spirit is a low-fare airline located in North and Central America. Rather than charge you for “free” items in the ticket price, Spirit offers unbundled fares which get you and a personal item from A to B. Want a drink during the flight? It will cost extra. Want to carry-on/check a bag? It will cost extra. Want to pick your seat? It will cost extra. Want more leg room? It will cost extra. 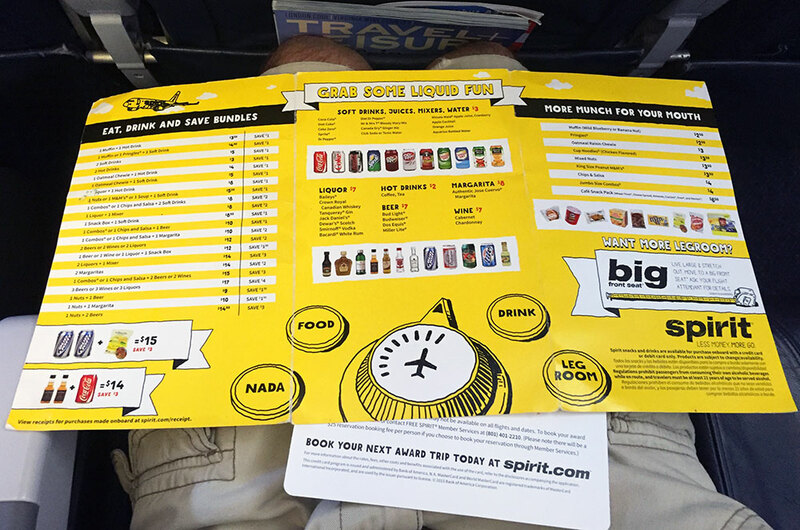 By getting rid of the freebies, including drinks or free carry-ons, Spirit can offer a cheaper “bare fare”. All in all, two round-trip tickets from Ft. Lauderdale to New Orleans cost us $330.91 (which included two carry-on bags and a 12-month membership to the $9 Fare Club). Upon our arrival in New Orleans we found out we no longer had a place to stay because our Couchsurfing host cancelled on us (you can read about our first negative Couchsurfing experience here). While we quickly found an Airbnb for the first two nights, finding a Couchsurfing host for the final two nights took a little longer. After a few hours of sending requests we finally found another Couchsurfing host, named A.J., who turned out to be our favorite host to date. In our two days staying with him, A.J. did more for us than we could have asked for. Beyond giving us a place to stay, he picked us up from our Airbnb rather than paying for a taxi. In the mornings he made us breakfast and in the afternoons gave us tours (one in the Sculpture Garden in City Park and another in the French Quarter). I could go on and on about all the things A.J. did for us and all the recommendations he gave us. But you don’t need to take our word for it when we say A.J. 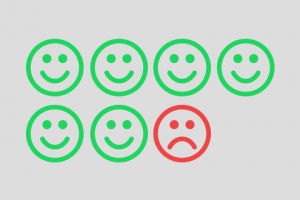 is the best host. Instead you can read any one of the 200+ Couchsurfing references he has. Once our accommodation was finalized, we were able to focus on experiencing as much of New Orleans as possible. On the first night we saw one of our favorite bands play at the House of Blues. 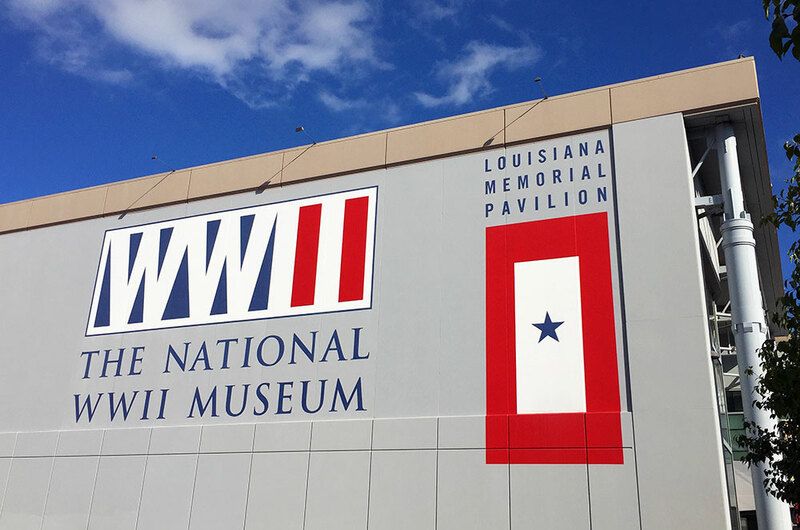 Since the following day was Veterans Day, we decided to go to the National WWII Museum. And on our final day, just hours before we flew back to Ft. Lauderdale, we went to a Gumbo Festival to sample local cuisine. To be honest, New Orleans wasn’t a planned stop on our road trip. But once we found out SOJA was playing at the House of Blues we added it to our itinerary (by buying the concert tickets before we bought our plane tickets). 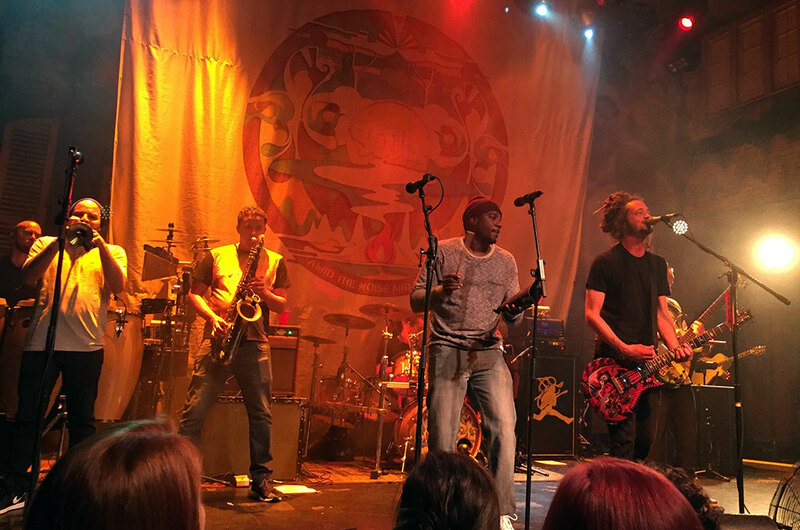 Even though this was our fourth SOJA concert, being in New Orleans made it a unique experience. After bar-hopping the French Quarter, we headed into the House of Blues and found a spot just a few feet from the stage. Since it was a smaller venue, the concert felt more like a private show. 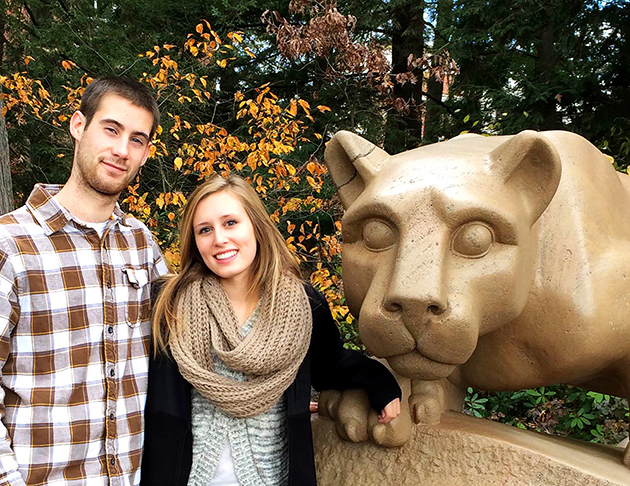 Looking back, we couldn’t have picked a better way to spend Veterans day. Not only did the National WWII Museum have great exhibits, but there were many veterans at the museum to thank for their service. 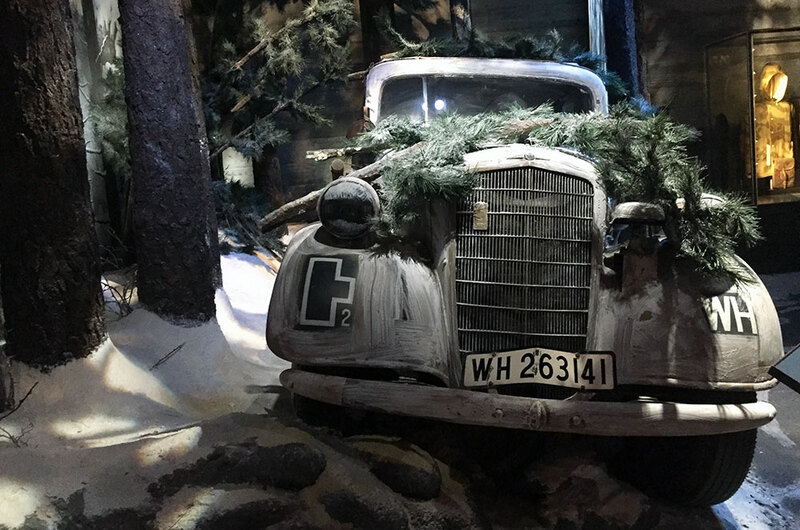 Our favorite parts of the museum were the “Road to Berlin” exhibit and the “Beyond all Boundaries” film (which was produced and narrated by Tom Hanks). 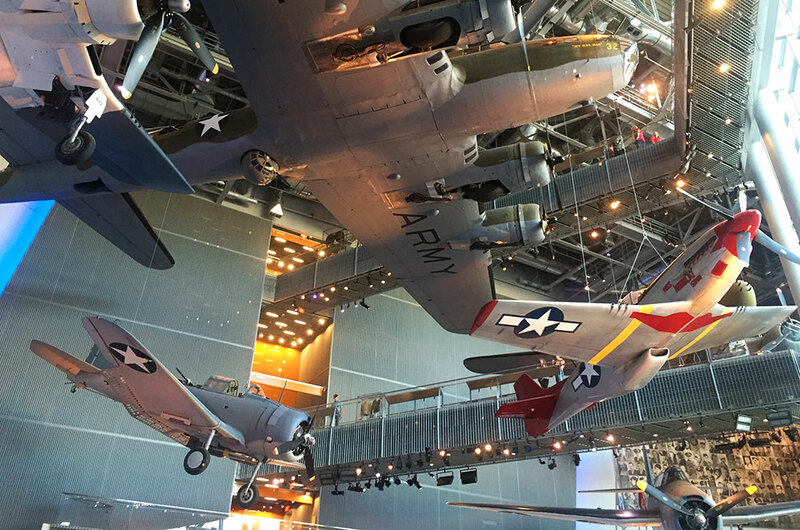 You don’t have to be a history buff to enjoy spending a few hours at the museum. In fact, on TripAdvisor the museum is ranked as the #1 attraction in New Orleans, #3 museum in the U.S., and #15 museum in the world! 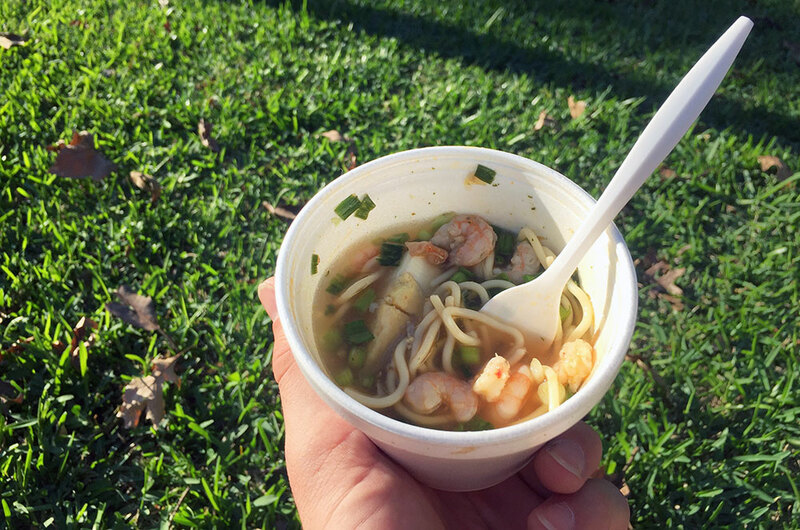 On our fourth and final day in New Orleans, we realized we had yet to try the region’s most famous cuisine – gumbo. Fortunately, AJ informed us that the Treme Creole Gumbo Festival just opened for the weekend. 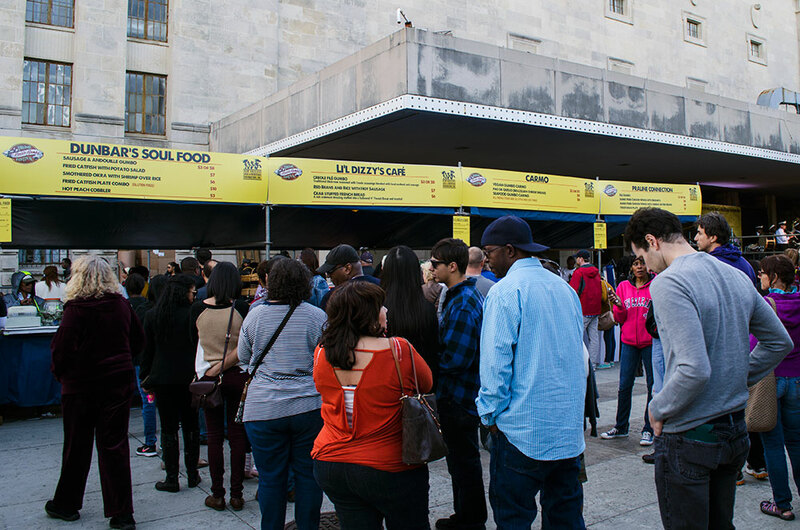 The festival hosts 12 different food vendors, each serving their own version of gumbo, as well as other local dishes. In addition to the delicious food, brass bands from the area performed as hungry crowds enjoyed their meals. While we made the most of our time in New Orleans, we weren’t able to do everything we wanted. Plus we weren’t in the city during Mardi Gras. So you can bet we will be taking another trip to New Orleans again in the not too distant future. Have you ever been to New Orleans before? If so, what was your favorite place in the city? Let us know in the comment section below!